After witnessing the rousing success enjoyed by the SVRA at their inaugural Vintage Racing event at the Indianapolis Motor Speedway, Heacock Classic is very excited to head down the racing road again to visit the historic and challenging Road America circuit. This 4 mile, 14 turn circuit, located in scenic Kettle Moraine region of Wisconsin, has challenged amateur and professional racers from throughout the world since its opening in 1955. 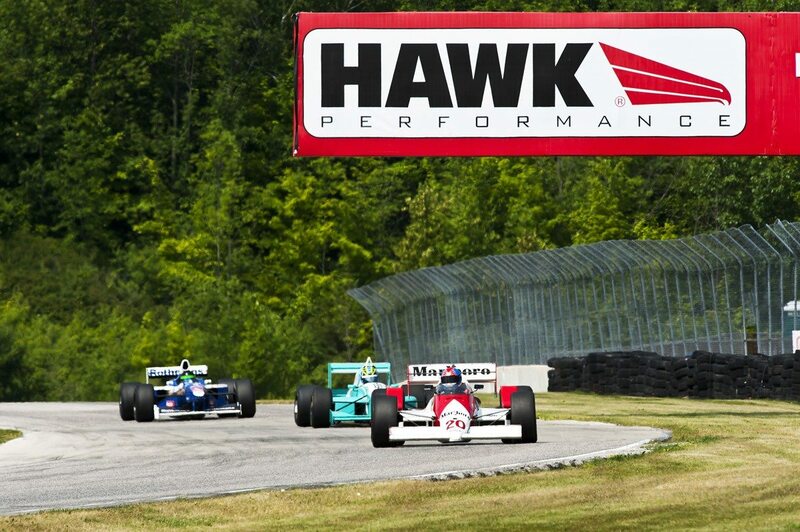 The Hawk draws vintage racers from all four corners of the United States and Canada, and will provide race fans with 4 days of exciting vintage racing competition involving over 400 unique vehicles. Special features this year include a historic Can-Am showcase in honor of Can-Am’s 48th Anniversary, a tribute to the 50th Anniversary of the Ford Mustang, and also a special gathering of Cheetahs – one of the most recognizable yet misunderstood sports cars of all time. Look for the Heacock Classic Insurance tent in the paddock area, and stop by and say hello to our licensed agents onsite – Pete, Gary, and Bob.